Buying a home safe can be a great investment. You can use it to store your valuables in, or you can keep important papers, ID, and other hard to replace documents in it. Most safes are fireproof as well, so you can have the peace of mind of knowing that if your home should ever catch fire, you can at least know that your most vital documents are intact. Of course, if you choose to place any valuable items in the home safe, you will need to know how to open it. 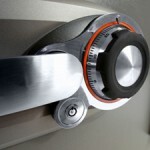 As with any other lock, sometimes there can be issues with home safe locks. They can get old or rusty, or malfunction for a number of reasons. There are things you can do to open your home safe yourself, but if all else fails and you really need to get it open as soon as possible, contact us and we’ll come right over and sort that out for you. We our a leading 24 hour locksmith service provider in Perth covering all areas , 24/7. So if you need your home safe opened or you have lost your keys, call us now and we will send an expert professional locksmith service provider immediately. Use the combination or the key that came with the safe when you originally purchased it. You should be able to find the combination in the instruction booklet that came with the safe. Order a replacement key if you lost yours. To get this done, you will need to call the manufacturer listed on the instruction sheet that came with the home safe. After providing the manufacturer a few details, they will mail you a new key (usually for an additional fee), but look on the bright side. The key will allow you to open your safe and you will not have to spend money for a new one. Call the manufacturer if you lost your combination as well. Based on the serial number of your safe and a few details to make sure you are really the owner of the safe, they will be able to tell you what your combination is so that you can open it. The manufacturer’s phone number should be on the instruction booklet that came with the safe. If you have a combination lock, try to figure out your combination by turning the dials until you hear the clicks. This can be tricky, as it does require good coordination and equally good hearing, but it can be done. Hold the clamp up with one finger and turn the knob to the right until you hear a click. The place where it clicks is your first number. Then, turn the knob to the left until the same thing happens. This is your second number. Then, reverse and go back to the right, still holding up the clamp. When the clamp comes free you will have found the third and final number of your combination. Call your local locksmith. Locksmiths can get any safe open for you in a very short period of time, so if you need what’s in your safe now, calling a locksmith is your best bet. Opening a home safe that you’ve lost the keys or combination to doesn’t need to be a trying, frustrating experience. If you need immediate assistance, call an emergency locksmith and have the issue take care of in no time! 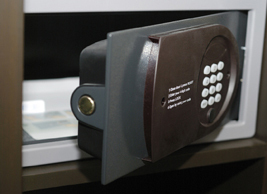 We offer Commercial & Residential locksmith services at some of the best rates in Perth!